(Updated at 10:15 a.m.) Anyone planning on hitting the Four Mile Run bike trail should watch out for a detour near the county’s Water Pollution Control Plant these next few days. 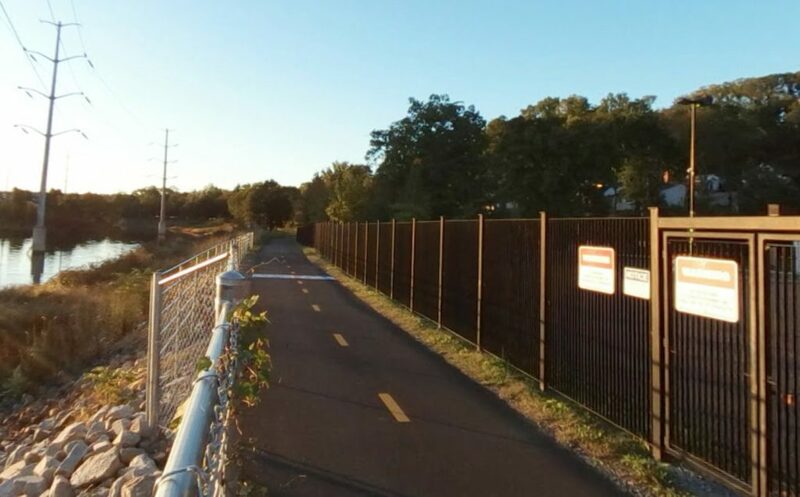 The county announced a “limited, partial detour” on the trail starting today (Wednesday) as it runs past 3304 S. Glebe Road, in the Arlington Ridge neighborhood along the county’s border with Alexandria. The County Board approved a series of repairs at the plant in 2017, with work planned on some aging water tanks at the treatment facility. Anyone biking or running on the trail should follow posted detours.